Keep on top of the latest customer experience trends and topics. Sign-up to receive new articles and resources as they are published. You can unsubscribe at any time. 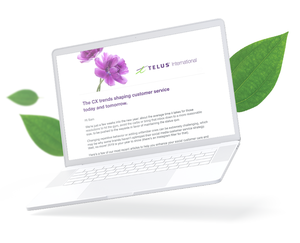 TELUS International is committed to respecting your privacy and we’ll only use your personal information to provide you the content requested.